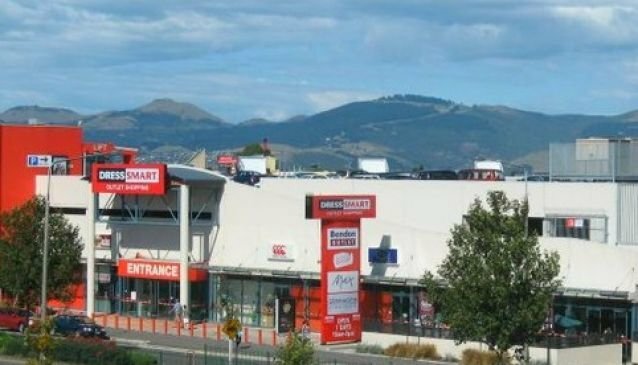 Dress-Smart is a medium sized mall with over 60 retail outlets, situated in Hornby and close to Christchurch City centre. Dress-Smart is a dedicated outlet centre where shoppers can take advantage of bargain prices from a large selection of designer brands with discounts often up to 70% off the high street price. The shopping mall features the likes of Esprit, Max, Ripcurl, Glassons, Bendon Outlet, Rodd & Gunn, Hallensteins, Scriber & Marks and Nicholas Jermyn. Fitness enthusiasts can find bargains from a number of sporting brands including Adidas, Puma, New Balance, Puma and Canterbury. Other outlets feature sunglasses, jewellery, accessories, cosmetics and more. Dress-Smart Hornby offers plenty of free parking and is easily accessed on Main South Road, heading into Christchurch and just 10 minutes from the airport.